Skating is not an easy thing to do. It requires continuous practice to master the moves and tricks. Backward Roller skating is even more sophisticated. This type of skating requires even more care and concentration. Forward roller skating has proved incredibly difficult for most skaters. With hours of practice, few come out knowing a thing or two. Being a risky venture it imperative that before roller skating, you wear protective gear just in case you fall. Such gears should include helmet, knee pad, wrist and the elbow pad. From a general point of view, roller skating as well as rollerblading is a fun and leisure activity for most. Also, they make a great exercise, a mode of transport as well as competitive sport. The secret to skating efficiently is finding your balance/ stance, learning how to glide and stopping, and with this, you will see yourself gliding around without any difficulty. Roller skating backward is a higher step you take. This is an indication of mastery of skating. 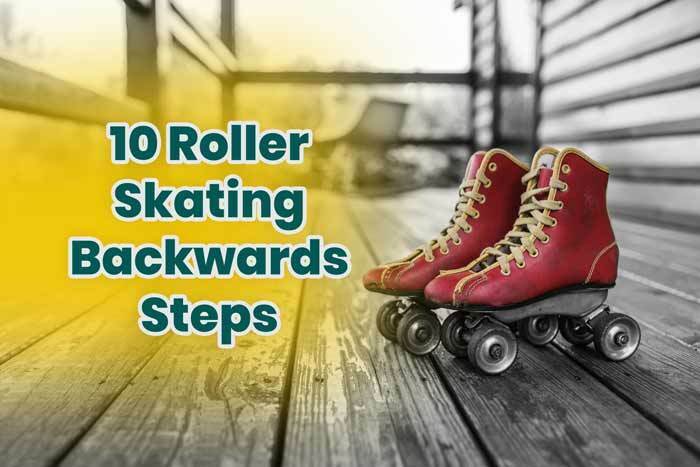 Before attempting backward roller skating, it is crucial that you understand the basics of roller skating. Before any attempts, be confident of your ability to skate forward, stop with easy and perform few tricks. It’s essential to practice motions that bring your toes together followed by moving your heels apart, with greater stability. This way you will increase your chances of knowing how to skate backwards. While learning to skate, it essential that your roller skater should be in perfect condition. The bearings should be rolling freely while the wheels should have maximum grip. It is equally important to have a skate frame that will support your weight. This way you are assured of a comfortable ride. Wear protective gear. This should be a helmet on the head, knee pad, and an elbow pads. For first-timers, wear heavy protective equipment because you are bound to fall few times. 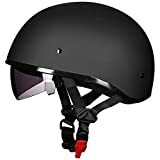 Your helmet must be dependable and comfortable and must have a snug fit on your head. Since you are just starting to roll, you will probably take a few spills at first. A helmet will give you the required protection. Knee pad, elbow pad, and wrist guards provide added protection, especially when skating on rough terrain such as cement floor. Your hands and knees will hit the ground a few times before you master your balance. Protecting yourself is the only way out. Lace up your skates starting from the bottom then moving upwards. The shoe laces should crisscross as you run the laces up the skate. Tighten your laces as hard as you can. Learn to roller skate forward first if you are a first timer. To do so, push off with one foot until you lose momentum, then repeat with the other foot. It is vital that you develop a forward glide first, and then find a posture that will work for you. Being confident in your ability, guarantees you the best results. Therefore, increasing your speed without losing control is the sign that you are ready for backward skating. From your standing position and weight equally distributes on both legs, Make a V shape with your feet, i.e., toes touching each other while the heels should be apart by slowly pushing your legs out to the side. Make the outer edge of your feet to create a roughly 90 degrees angle with toes forming the center. This might be a little for some individuals. In such a case, bend your knees a little bit. The first time will always feel as if you do have full control over your skates, and you may lose balance and fall a few times. Keep on practicing until you get your balance. Push your heels apart and then bring them back together. If the gap you create by pushing your heels apart is wider, then you will move faster and longer backward. When your heels meet, recreate V shape with your toes. The other alternative for this is to apply pressure on your right toes while lifting your left foot to glide backwards on one roller skate. Repeat the same procedure with the opposite foot. The only way to see where you are going is to glance over your shoulders. While doing so, do no lean backwards as this is the easiest way to fall. This procedure should be done slowly. After mastering the first steps, you can now increase the length of your strokes to pick up speed. If you can spread your ankles a bit wider, you will gain more momentum. The faster you do it, the quicker you will move. You use your body weight to help you increase speed by leaning into the strides you make. To keep your balance, use your arms. Bend backwards and forth the way you would do if you are running. This step requires confidence and stability. Switch between backward and forward skating. To do this transfer your weight to the left foot and at the same time lift your right foot and use it to swing your body 180 degrees. Turn your right foot to face forward, and then use it to push off. While turning, ensure that your core and hips remain aligned, i.e., do not turn around at the waist. Practice turning right and left while you are gliding. To turn right, lean your body slightly to the right when you want to turn left bend your body slightly to the left. To do it better move in a squatting position. Learn how to stop. This is a crucial skill in any form of skating. For beginners, it is advisable to use your knee pad to stop. To achieve this, slowly lower one knee to the ground and allow it a drug. An alternative to this use of the toe brake. The roller skates have toe stops on the right on the right skate. To efficiently use the brake, scissor your legs, one forward, the other backward. Lift the heel of your leg and apply pressure to the toe stop. It is important to stop with confident thrust rather than hesitantly touching your brakes to the ground. Failing to press down hard enough on the brakes you may lose your balance and fall. If this process appears to be difficult for you, use the first that entails the use of your knees until that time when you are comfortable. To roller skate efficiently, you need to let off fear. Fear comes in two forms; fear of falling and fear of failing to stop. When you Wear protective gear, you reduce fear. Just because even if you fall chances of getting severe injuries are slim. A helmet, for instance, will reduce the risk of injury by up to 85 %. Also, you can eliminate the fear by wearing the padded undergarments similar to those worn by hockey players and roller derby players. Falling will always occur. For beginners, you may start from a common point, holding on to something first then slowly letting go. Practicing this few times will help you master courage. The best place to start learning how to roller skating backwards is to start at the rink. Do not be embarrassed because everyone starts at a particular point. Such skate roll is uncomfortable and will lead to the development of blisters and friction. Your feet must be held tight by any skate you wear. In case of kids, buy them adjustable skates. Being safe while skating rolling must be your priority. Falling off a skate roll usually does not end up well, especially if it is on rough terrain. The most affected body parts after a skate roll fall are the head, knee, ribs and the arms. Within a group of people, you will learn faster how to skate roll. This due to the support base and fun around everything. Also, skating clubs offer lessons on how to skate roll. The rolling sensation can be very sensational. Before you enjoy more, it is important to learn how to brake. This way you can control the speed of your skate roll in whatever direction you are rolling. Learning how to roller skate backwards requires keenness and confidence. Any skater would tell you, falling is part of the game, and practicing makes your techniques perfect.